Chefs are crucial to the success of a food service outlet and the hospitality organisation. After all sumptuous meals are a prerequisite for a successful vacation. 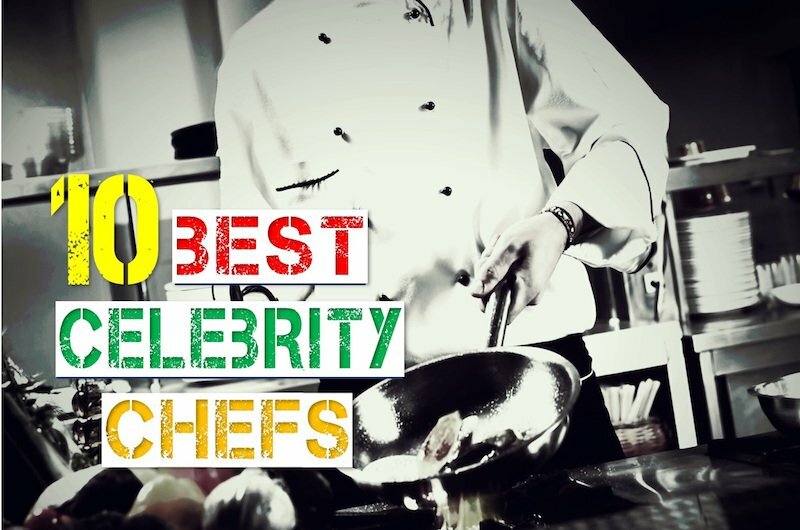 In this post, we bring you few of the Celebrity chefs in the world which are popular like movie stars and sports icons. In the past few years, celebrity chefs have become instrumental in society because a lot of novice cooks, professionals in the industry and enthusiasts of fine dining look up to them as inspiration as well as for cooking tips and advice. Famous chefs are influential and popular not only because of their unique and innovative cooking techniques but also for their capacity to create successful brands. All Hoteliers are well aware that Chefs are one of the Best Paid Hospitality Jobs. Chef White is said to paved way for a lot of other celebrity chefs. Marco is a well-known British TV chef, who is also known as the godfather of contemporary cuisine. He is believed to be the first celebrity chef and is known to have trained other successful chefs like Gordon Ramsay. He has been part of several super hit television shows like MasterChef Australia and Hell’s Kitchen. He is also the youngest chef to be awarded 3 Michelin stars. 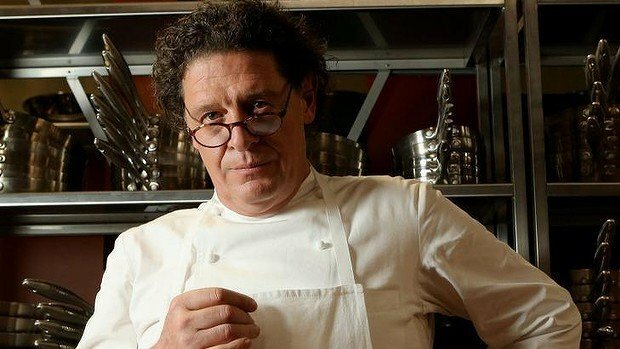 Remarkable and inspiring is all we have to say more for Marco Pierre White. Even after retiring he continues to inspire and train the best chefs around the globe. Have a look at his Official Website. This celebrity chef started out his career as a part-time dishwasher after dropping out of college. Today, he is a well-known travel and food expert that has worked in top rated hotels. He then graduated from the Culinary School of America and then worked in several classy restaurants. He now maintains a larger than life image in the restaurant fraternity of New York City and globally. 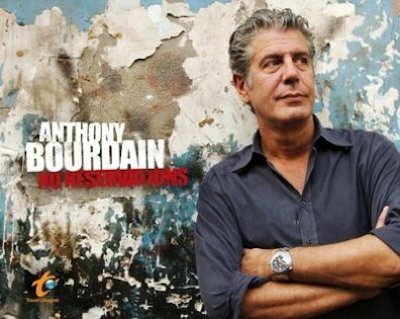 Anthony Bourdain further rose to a celebrity chef status through his extremely popular television shows like ‘The Layover’, ‘A Cook’s Tour’ etc. He has also appeared as a judge on several television shows. Bourdain has also written few best-selling books like ‘Kitchen Confidential: Adventures in the Culinary Underbelly’, ’A cook’s tour’ etc. As an update, Bourdain was found dead in his hotel room on 8th June 2018. Surprisingly, the cause of death was termed as suicide. The exact reasons behind the suicide of this celebrity chef is still a mystery. Paul is a legend in France and in many parts of the world. He has mentored many chefs that have continued to create successful brands of their own. The hotel industry is staying neck to neck with innovation through its Innovative Hotel concepts but culinary innovation has arguably helped hotel industry the most. Paul has been an innovation evangelist for the Food and Beverage sector of the Hospitality industry. He is a celebrity chef who is associated with high-quality restaurants and novel concepts in cooking and cuisines. At the age of 91, he has all the reasons to slow down but a lot of his students and followers are committed to taking the legacy forward in the decades to come. Most Hoteliers are aware of this extremely popular celebrity chef. Gordon Ramsay is a high profile celebrity TV chef. His Hell’s Kitchen is an extremely popular TV show. He has been a part of several other extremely popular TV shows like Kitchen Nightmares and MasterChef US. He is renowned for his personality and unusual cooking skills. He was once a footballer but gave up on the sport to become a chef after sustaining a football injury. He now owns a lot of classy restaurants across the globe. This is another popular French chef that is the first celebrity chef to open several successful Michelin 3 star restaurants. 3 Michelin star for a restaurant is like a 5-Star rating for Hotels. His elegance and style which reflects in his restaurants have raised his status to a globally renowned celebrity chef. 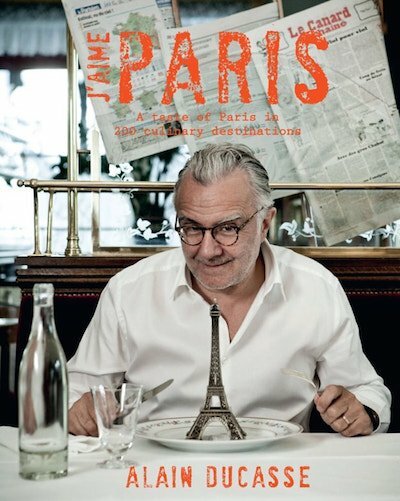 Look for more about Chef Ducasse at his Official Website. Puck is one of the richest celebrity chefs on the planet. He is an Austrian-American who is extremely popular in the USA and around the globe. Aside from cooking and owning successful restaurants, he is a successful businessman that has an entire range of high-end cooking equipment and cookware line. He has to his credits numerous awards and television shows. He is popular for his Californian, French and Fusion cooking styles. As far as celebrity TV chefs go, Jamie Oliver’s face is instantly recognisable. He is known for his successful TV shows that focus on organic food. He is popular for his cookbooks that are successful in the UK and internationally. 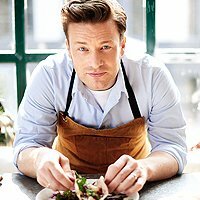 He is youngest of the celebrity chefs on this list who is well known for his English cooking styles. His documentary Jamie’s Kitchen earned him an invite to Prime Minister’s residence in the UK. Sanjeev is popular Indian chef, TV host, author, and a businessman. He also serves as a judge in successful cooking shows such as ‘MasterChef series 3’ and his Show ‘Khana Khazana’ is the longest running show of its type in Asia. He has also come up with a lot of innovative recipes that have won him a lot of accolades in India and globally. Thomas is also a renowned author and a successful restaurateur. He has managed to build a name and reputation for himself despite having received no culinary training at all. Known for his famous restaurant in Napa Valley, Chef Keller gave Adam Sandler cooking tips for the Hollywood Movie Spanglish. He has also published books and has a lot of awards to his name making him one of the most popular celebrity chefs in the world. Charlie is an American chef from Chicago and is one of the most popular TV chefs out there. He is also well known for his successful show PBS. He has run several successful restaurants in the US and rose to fame through several awards won and the TV show. Unfortunately, we would not be able to see any other brilliant piece of work from Chef Trotter as he took his last breath in November 2013. Hope you enjoyed a collection of Top Celebrity chefs in the world. We have not listed them in terms of any rank or order. We would continue to add more details and interesting information about celebrity chefs in the future updates. Keep looking for more information and Hospitality NEWS through the search box on the home page of this Global Hospitality Portal.